I’m often asked by visitors about birding opportunities at our Georgia mountain property. The North Georgia Mountains is known to be an incredible habitat for birds, and a tour of our mountain property for sale will give you a glimpse of the excellent birding opportunities in the area. North Georgia is home to 130 nesting birds. Ornithology in Georgia dates back all the way to the early 1700s with the impressive bird habitats located throughout the state. I don’t consider myself a bird-watcher by any means, but I’m always happy to go along with family and friends around our Georgia mountain property to spot some rare and beautiful species. There are different groups of birds you can find in the area. Some are permanent residents and the others migrate to our neck of the woods throughout the year. 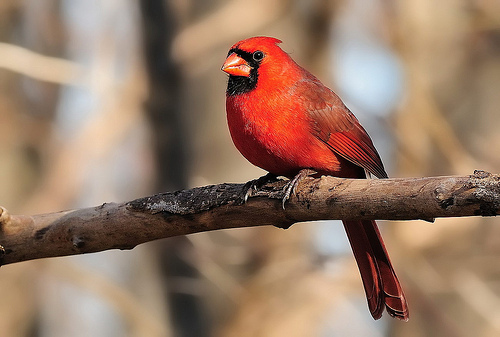 My favorites are the northern cardinal and indigo bunting, always stunning and spritely. You’ll find lots of northern birds living in the North Georgia mountains, as the climate here is similar to that of southern New England. There are several local birding groups in Georgia. I’ve never met up with any of them before, but I would recommend connecting with them if you enjoy bird watching. When you see our North Georgia mountain property for sale, which is available anytime for showing, spend some time birding and getting to know the amazing array of birds in the area. This entry was posted in North Georgia Fun Facts. Bookmark the permalink.